I will make thy name to be remember in all generations: therefore shall the people praise thee for ever and ever. The sculptor looked at the piece of stone and thought. His mind whirled at the possibilities the stone presented. He could make anything he wanted. He could carve out great beauty. He could create a monument to himself. He could immortalize a great figure from history. He could sculpt a statement of power and dignity. His mind danced with imagination. He began to dream of the ultimate statement he could make. He looked into the sky and saw the glories there. He looked at the trees and flowers. He watched people walking past. He thought of waterfalls and rainbows and beautiful music. His heart swelled full, then sank. What could be possibly carve into stone that would do justice to the world of wonder he lived in? He set about his carving, working with great care and determination. After days of labor and love, he unveiled the greatest work his life could offer. Three letters, finely shaped, lovingly created. The greatest legacy the artist could give. The name was GOD. 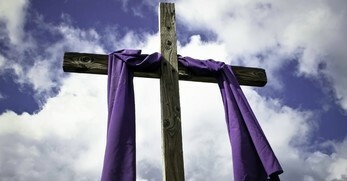 Prayer: Make my life a symbol of Your love and a sign of Your grace. I live my life in Your will, trying to be the best person I can be. Accept my life as an offering of love. Amen. Originally published April 19, 2019. 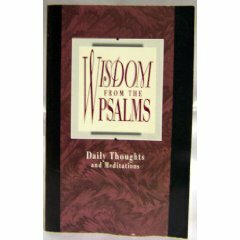 Wisdom From The Psalms is a popular daily Bible devotion. This Wisdom From The Psalms devotional offers wisdom and insight for applying Biblical truths to the ups and downs of everyday life to help you grow spiritually. Spiritual growth doesn't just happen. 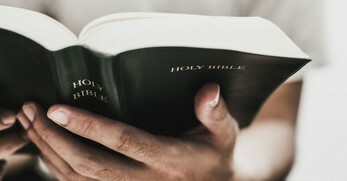 You have to constantly strive to grow in the Word of God and Jesus Christ. 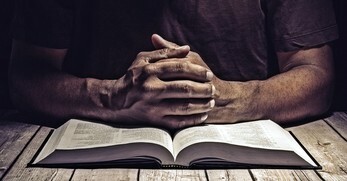 Reading daily devotions provides srength and encouragement in your daily walk with Jesus Christ.